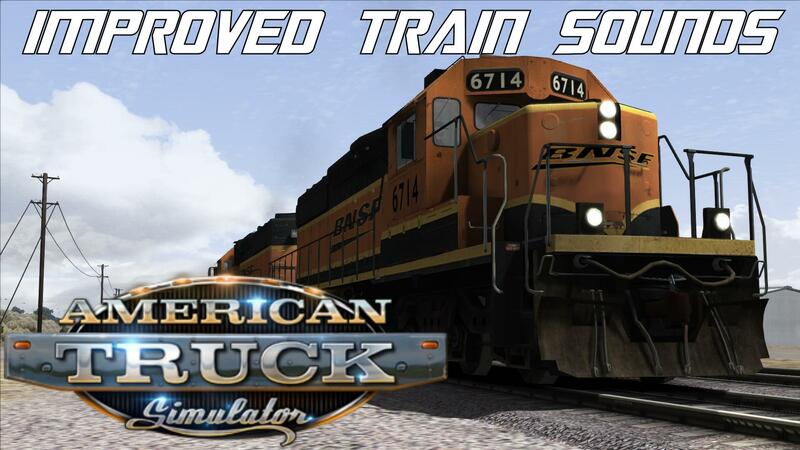 Improved Train Sounds v1.0 for ATS (1.34.x) for ATS | American Truck Simulator game. 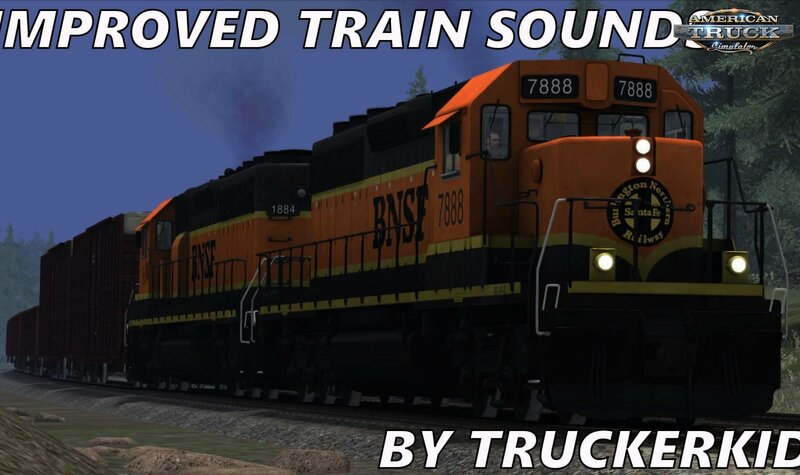 This mod replaces the standard trains sounds in ATS with an improved version that adds an engine, horn*, bell sound*, and rolling stock/rail noise**. * Currently only the mover type trains have these sounds. ** Currenly only the mover type trains have this sound, it is currently not possible to apply sounds to trailing rollstock, once it is possible, they will be added accordingly. - Headlights on trains now have a realistic range and high beam mask at night.